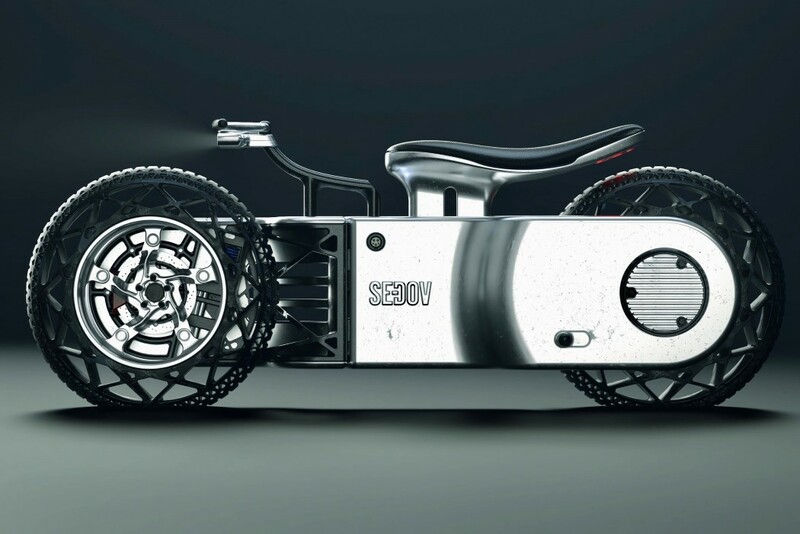 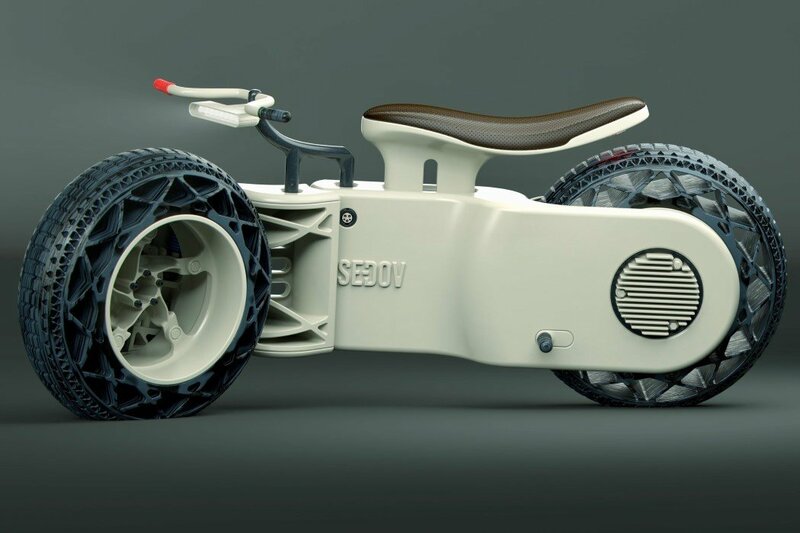 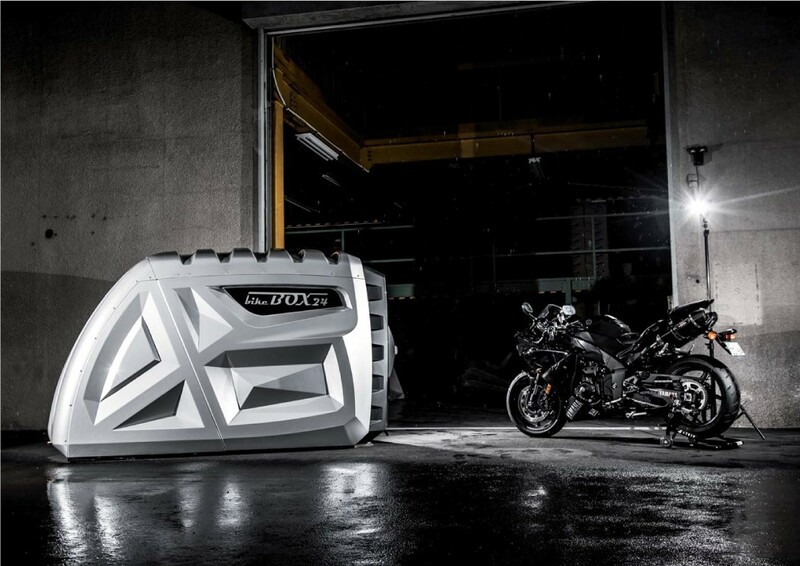 BikeBox24’s pod for two-wheelers seems like the most perfect solution for private as well as public use. 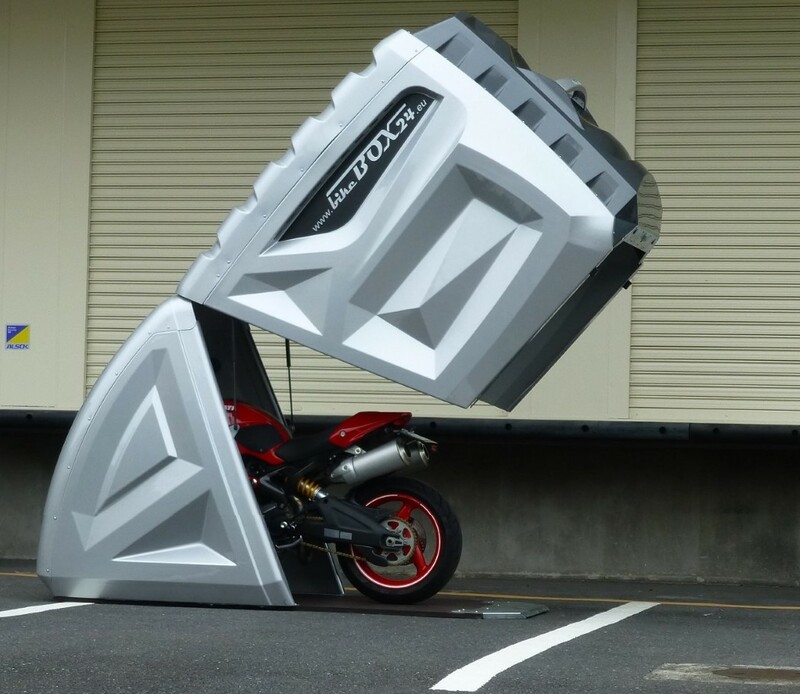 Garages almost always cater to cars, with that small sliver of space beside the car being reserved for the motorbike, quite like an afterthought. 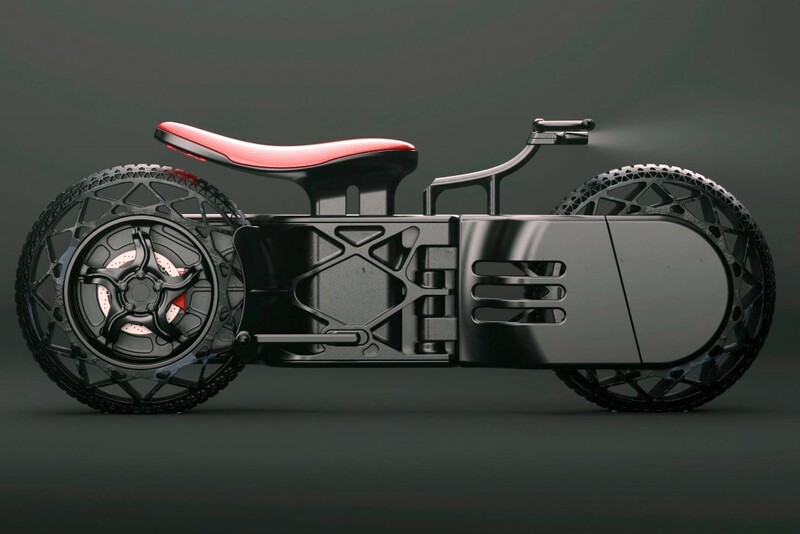 Or even in public, where bikes are left vulnerable to vandals, thieves, and the weather. 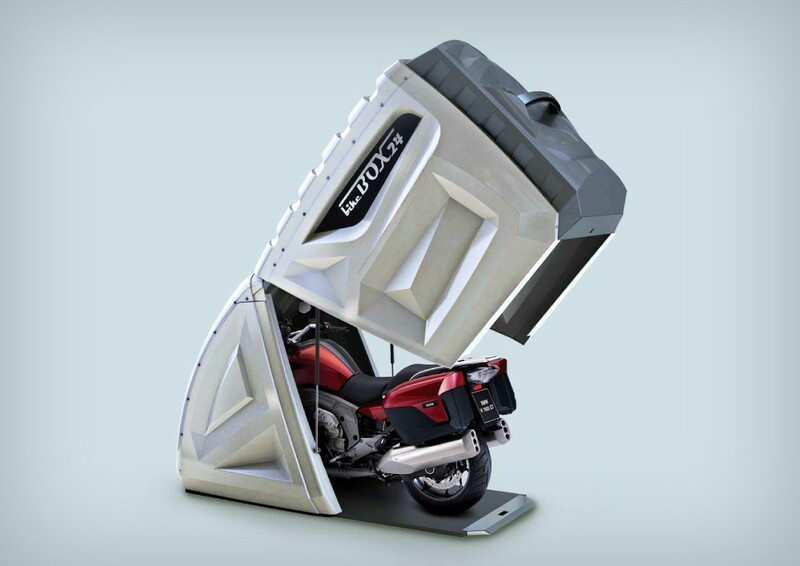 Made from galvanized steel and weather-proof plastic, the BikeBox24 is a secure storage pod for your two-wheeler, with enough space to even fit a quad bike. 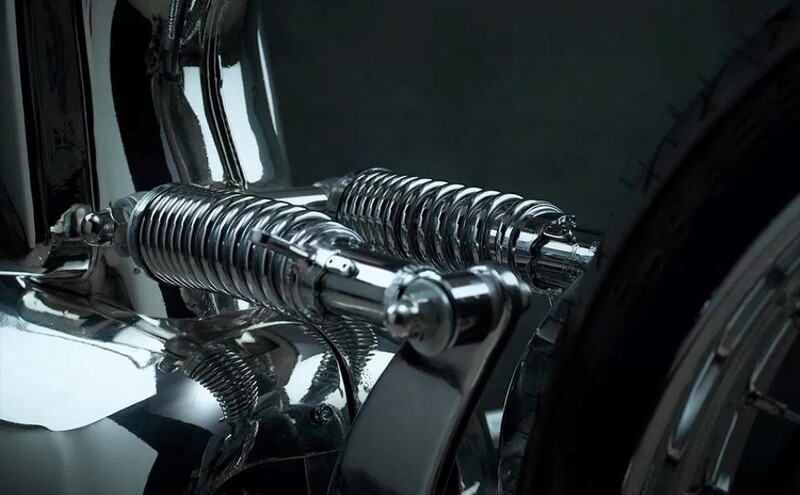 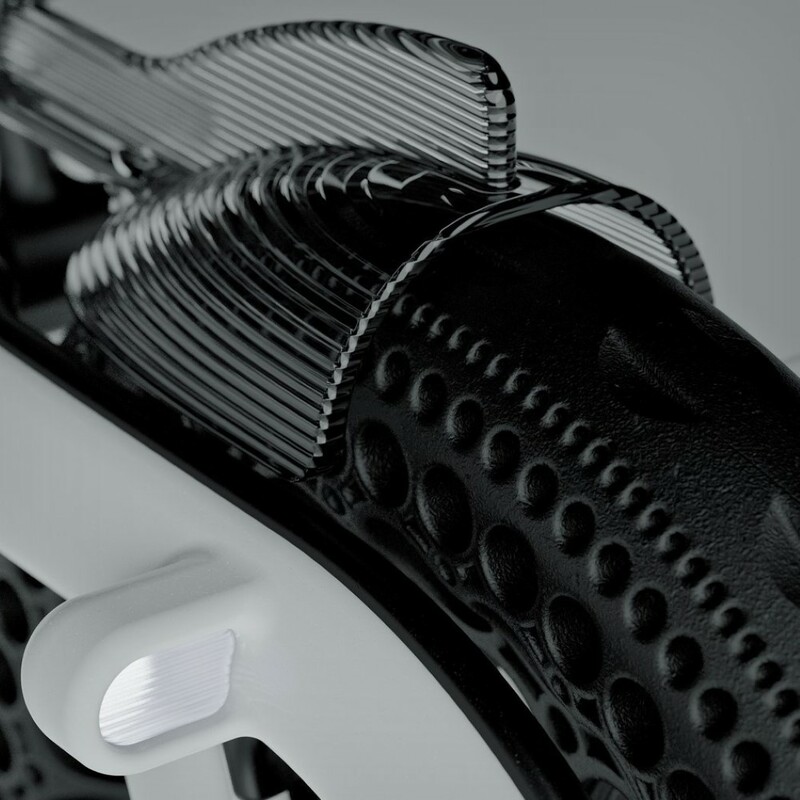 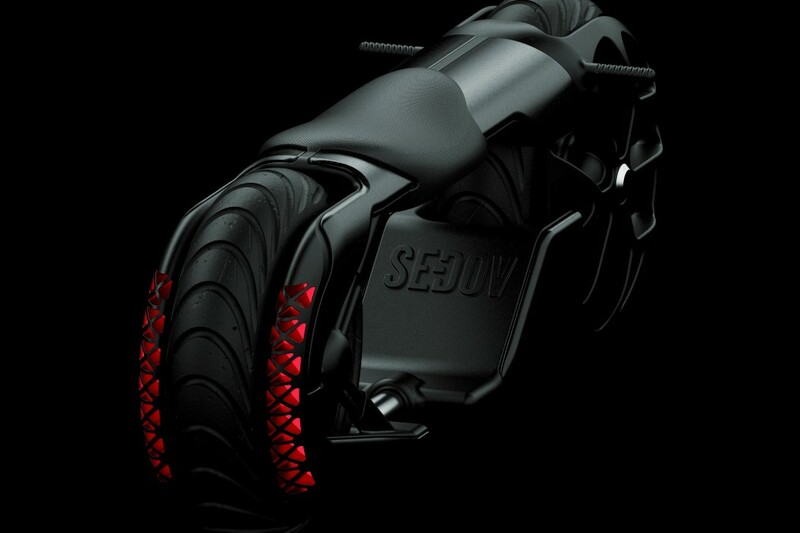 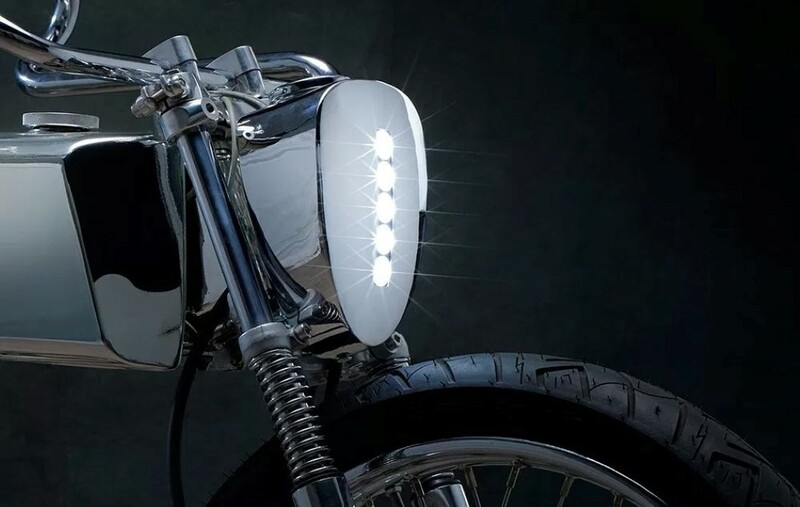 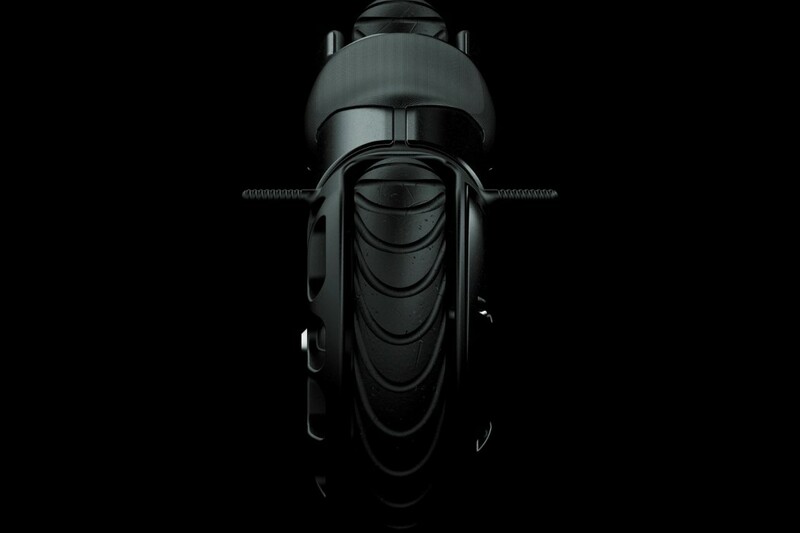 Its unique, chiseled design doesn’t just give it an aggressive appeal to complement your ride, but also gives the plastic construction strength, preventing it from bending or flexing and damaging the bike inside. 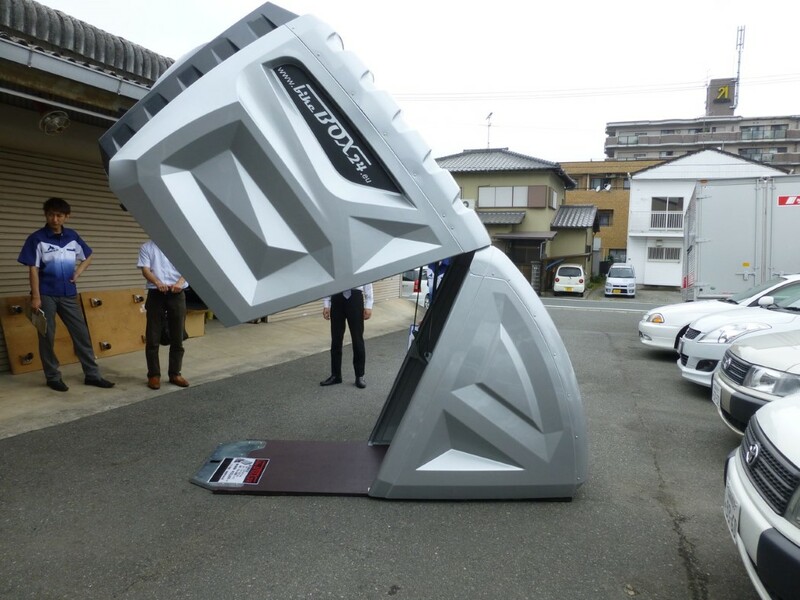 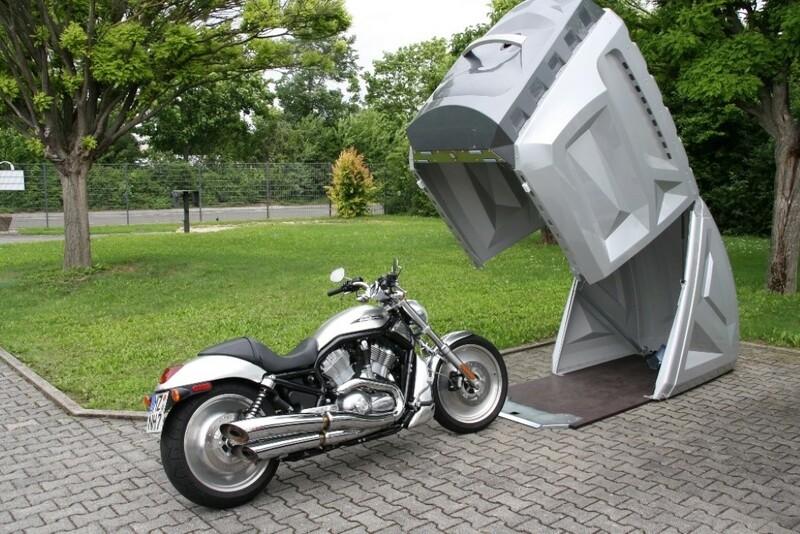 The pod comes with a hydraulic system that makes opening and closing it easy, as a hinge on the top allows the pod door to open vertically, giving the owner enough space to walk in and out. 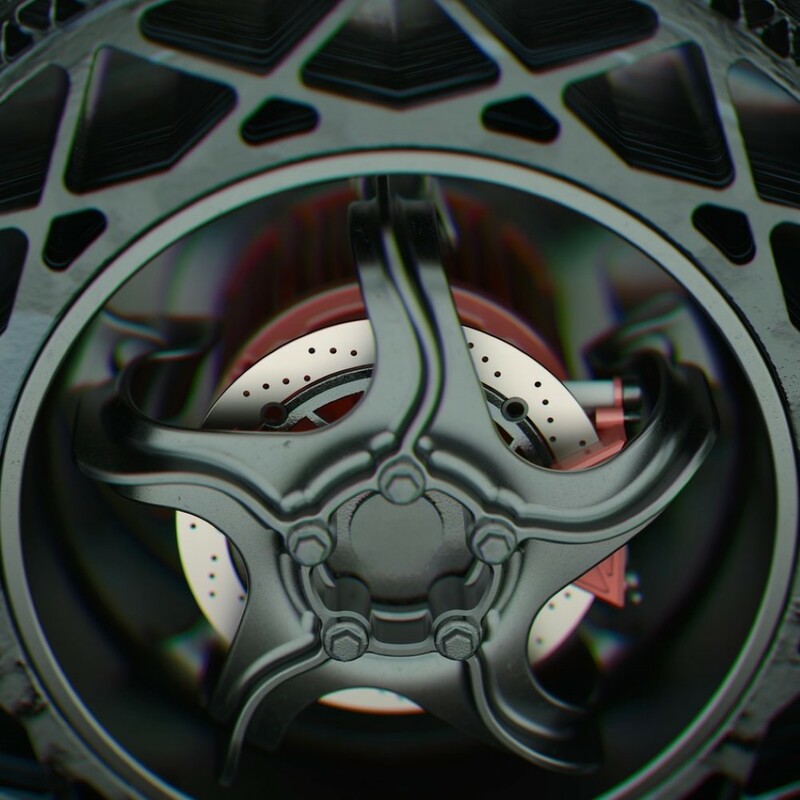 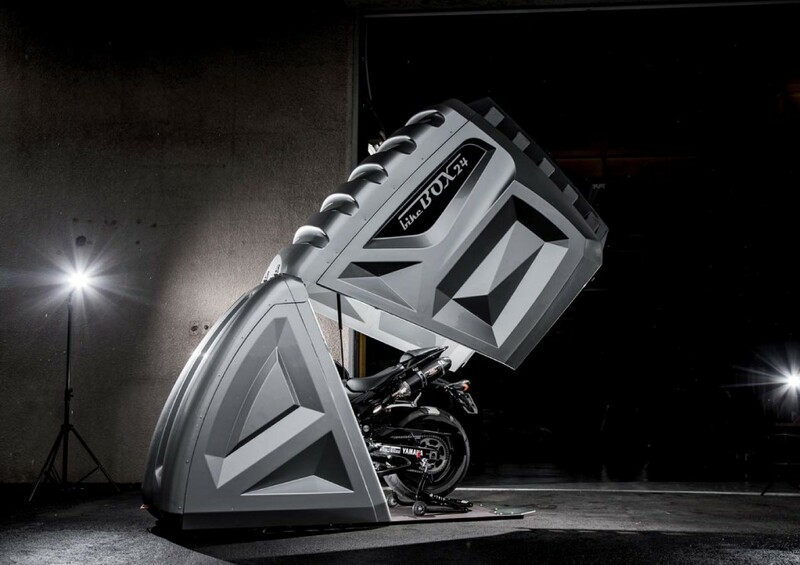 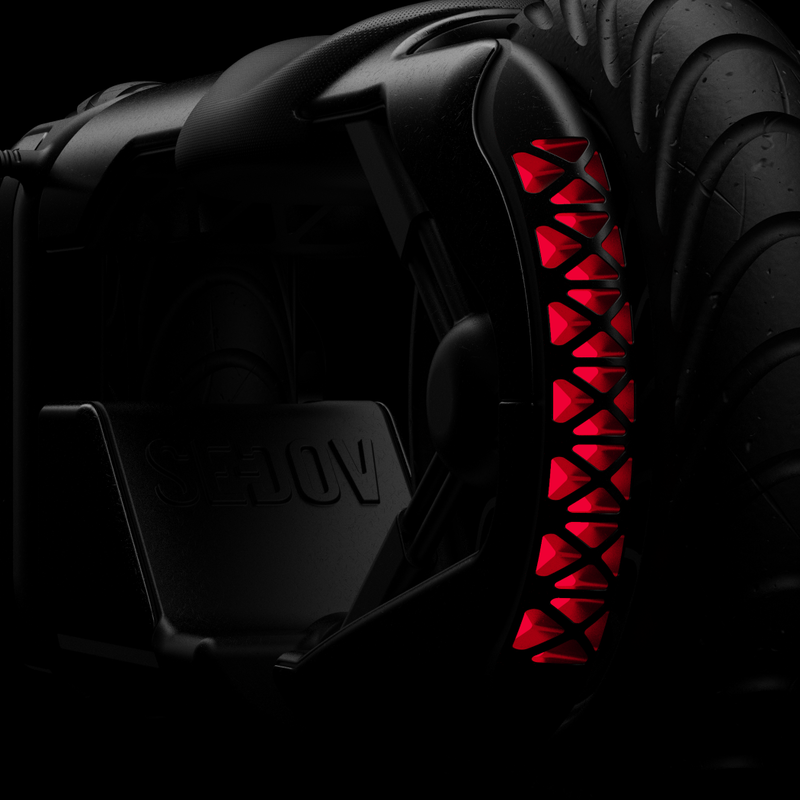 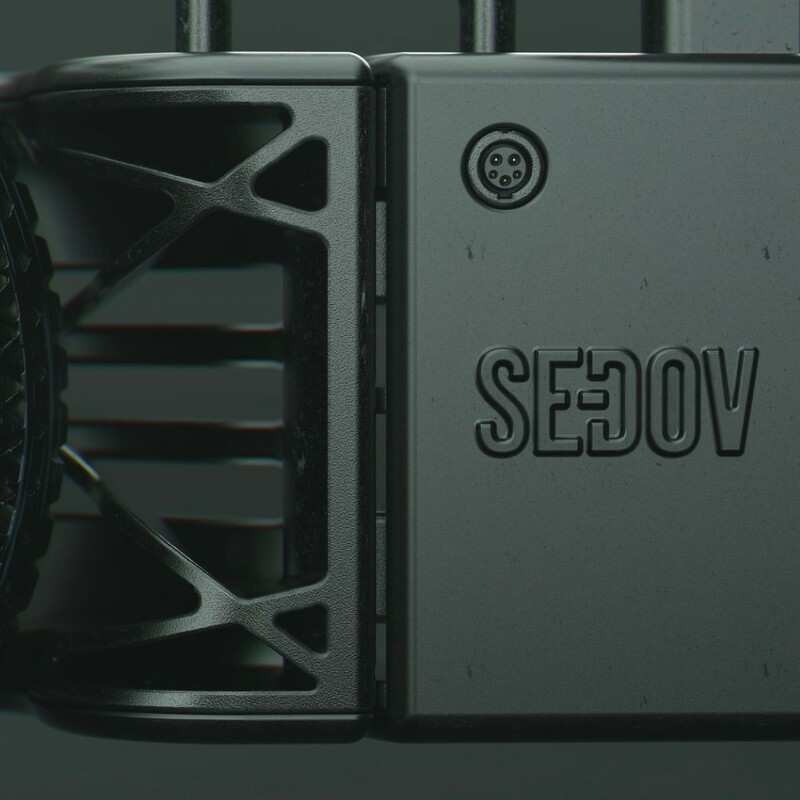 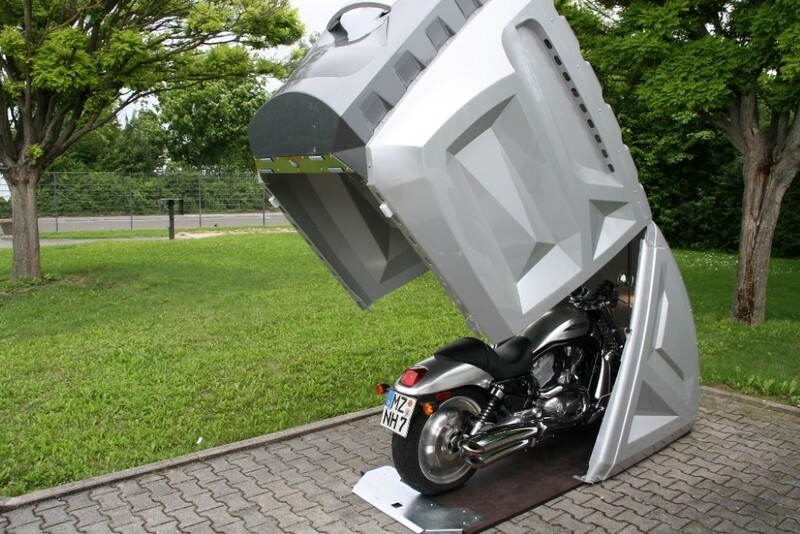 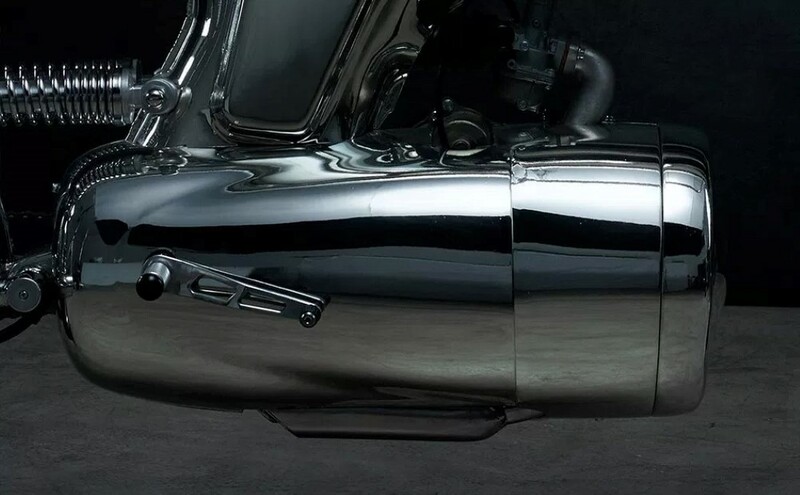 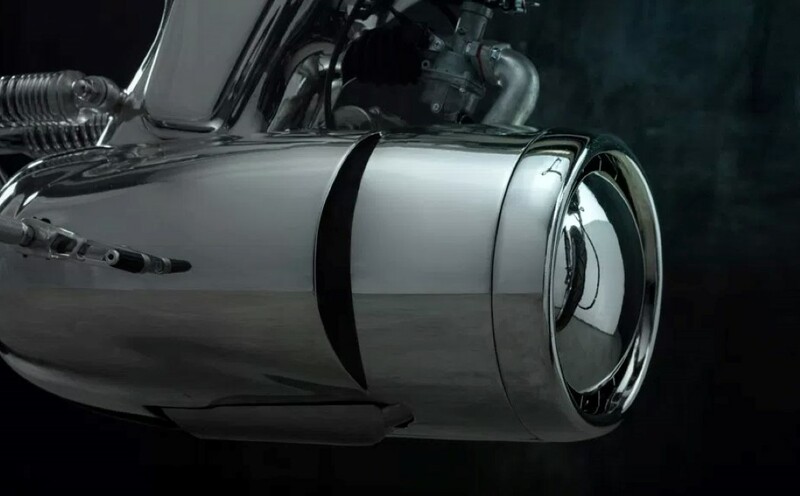 The pod even comes built with a tough multiplex metal floor, encasing your motorbike from all sides in a secure cover, and a mount to secure your motorbike in place to prevent it from collapsing within the pod. 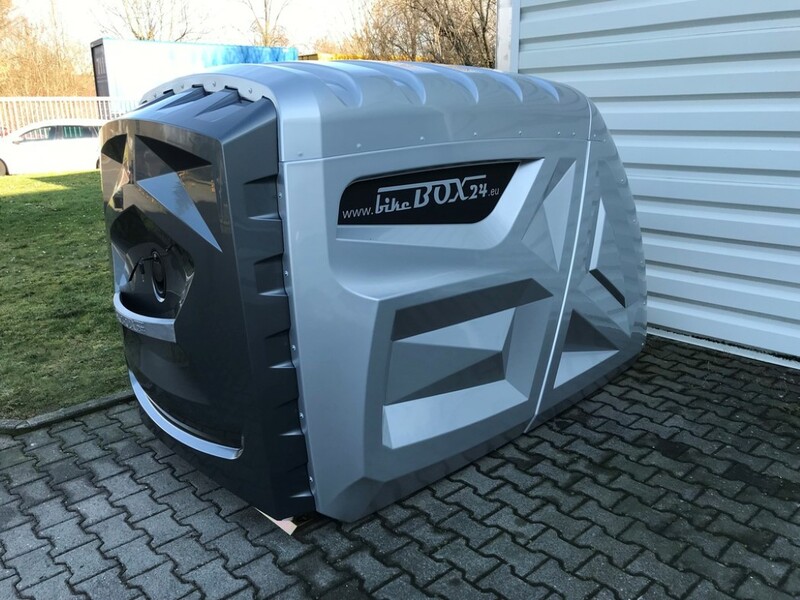 With a secure lock to protect your bike from miscreants, and a ventilation system built to divert and drain any water, the BikeBox24 gives you security as well as weatherproofing, all in a small, conveniently designed, compact pod that can be used both indoors or outdoors! 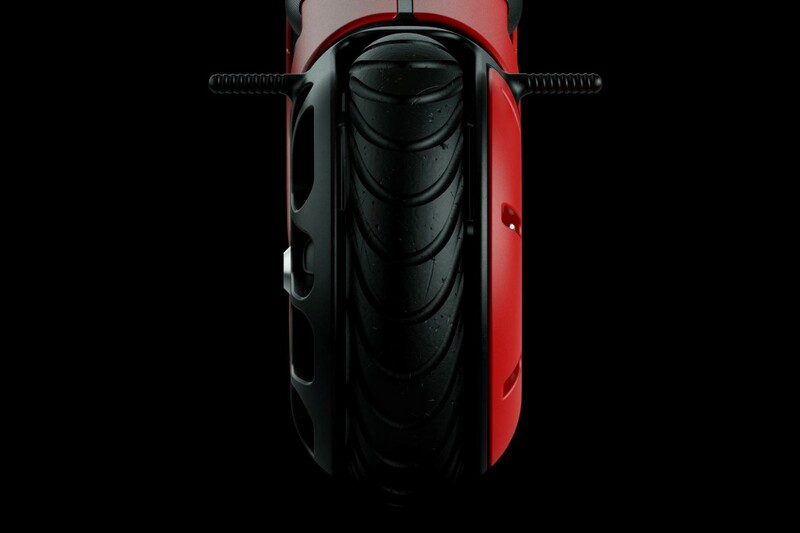 One doesn’t need to look for a logo to know the make of this motorbike. 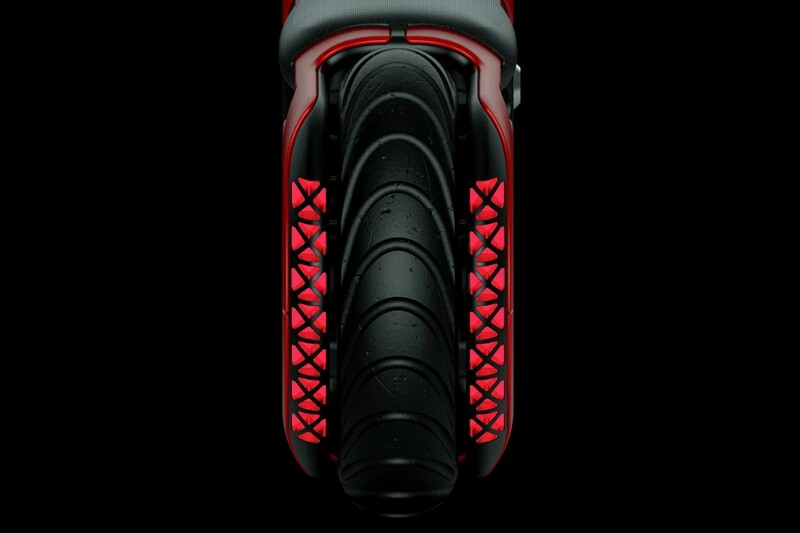 Its design is so familiar, it needs no branding, but has one anyway, right near the front wheel. 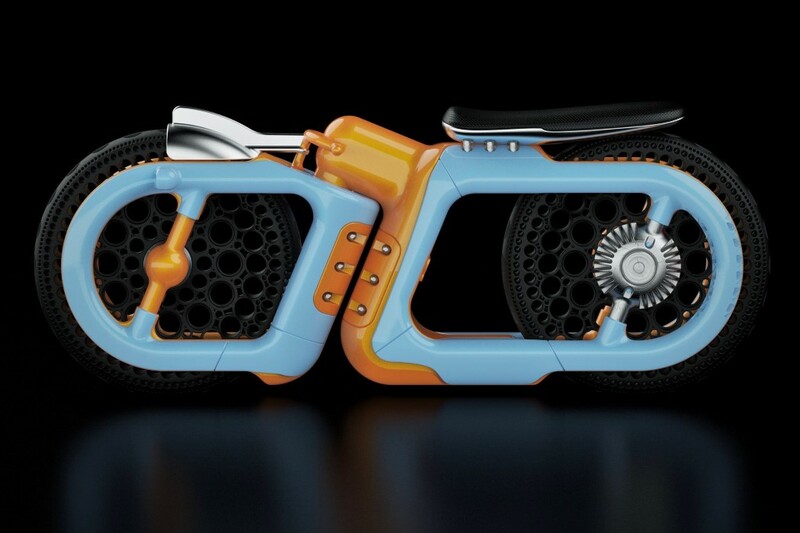 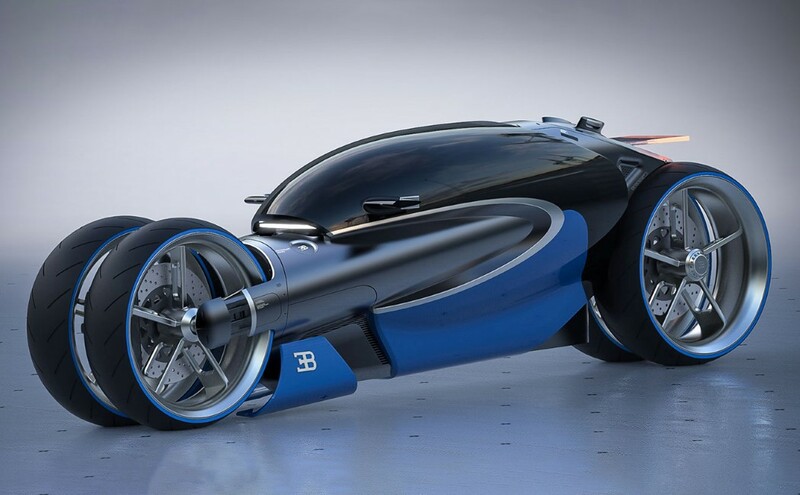 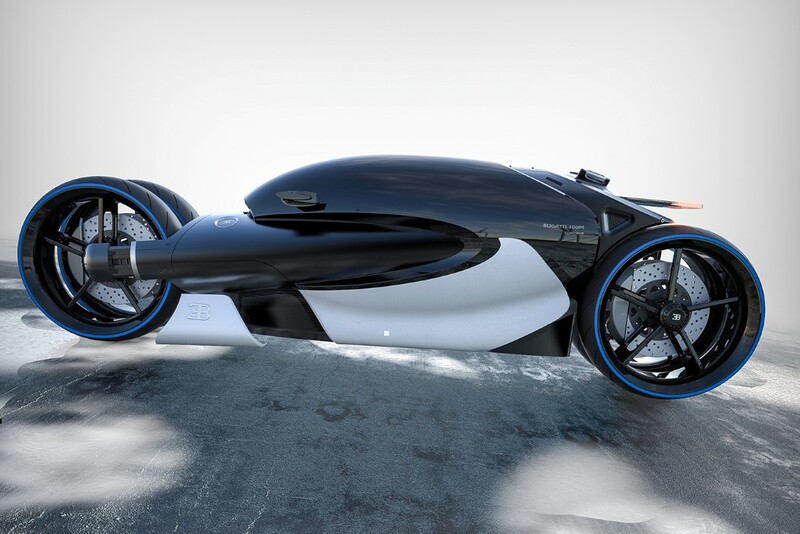 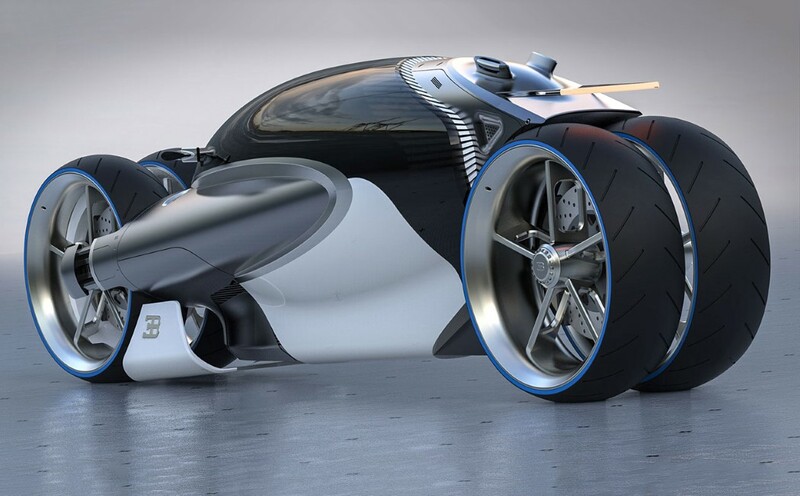 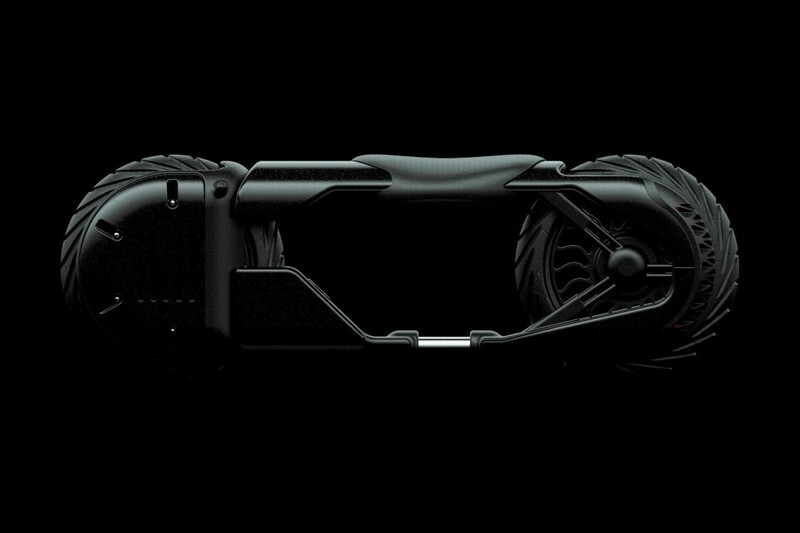 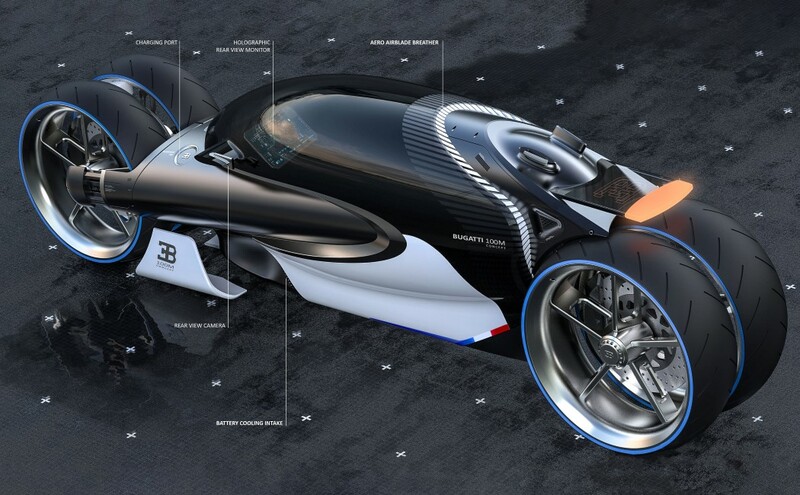 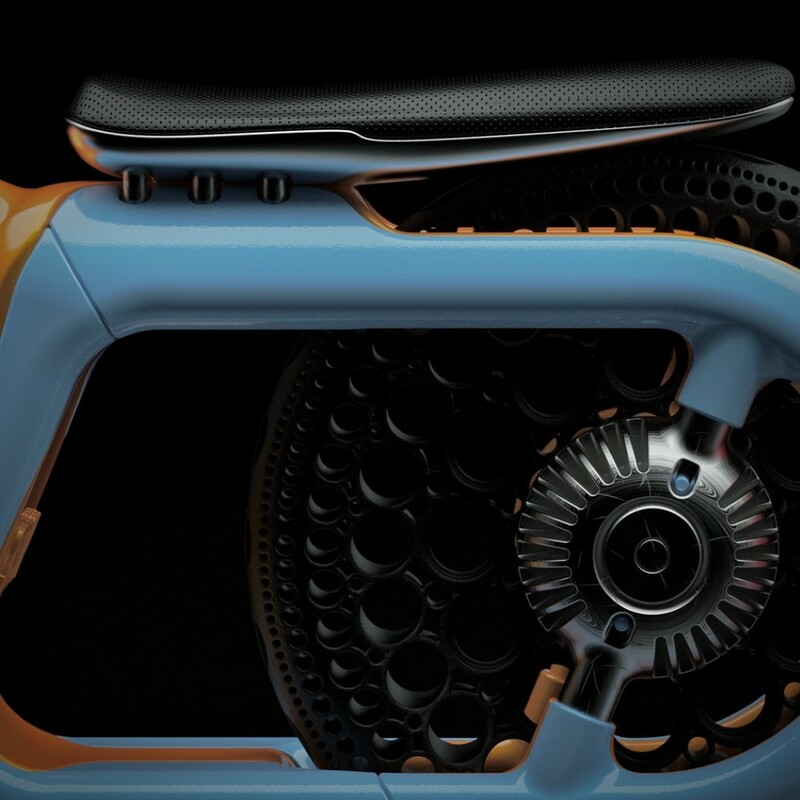 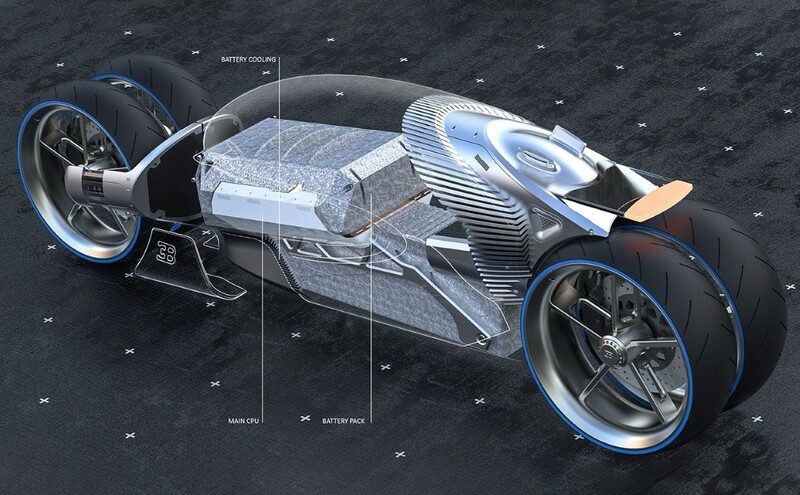 The Bugatti Type 100M Concept motorbike is so innately Bugatti, it’s beautiful. 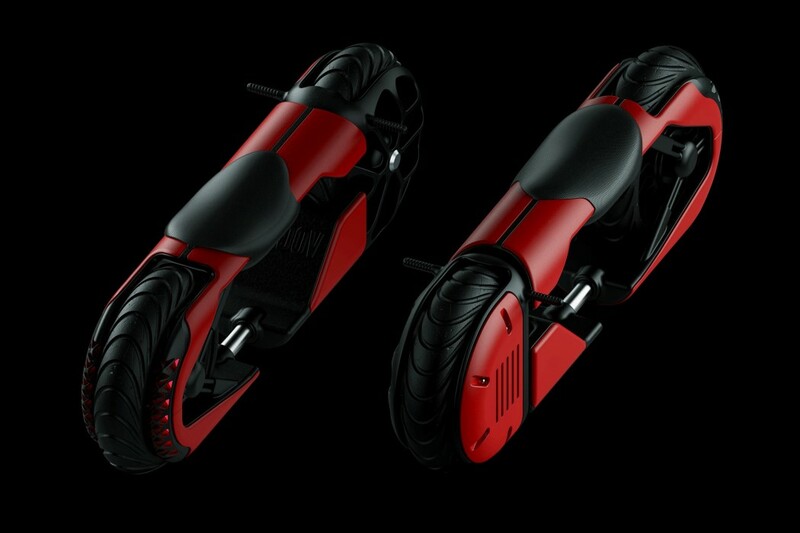 It comes with four wheels, the dual-color combination that we know and love, and even the C-shaped line on its side which is literally a signature Bugatti detail. 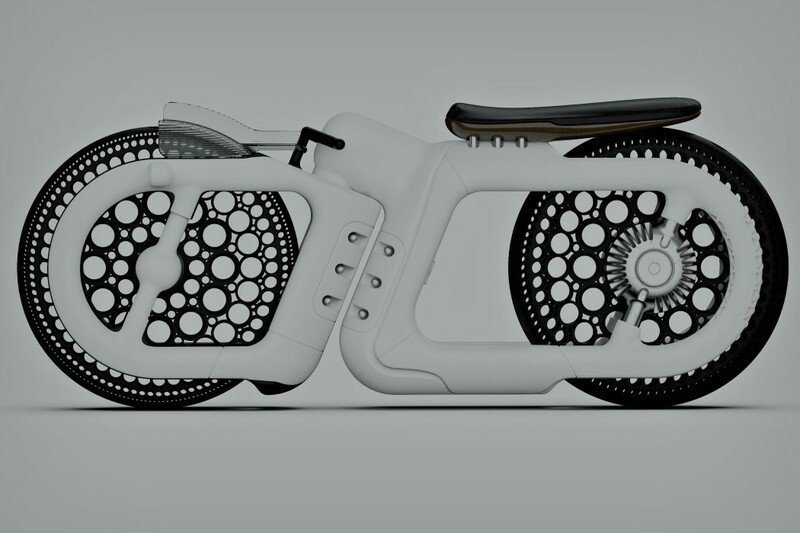 Its lack of detailing leaves quite a bit to the imagination though. 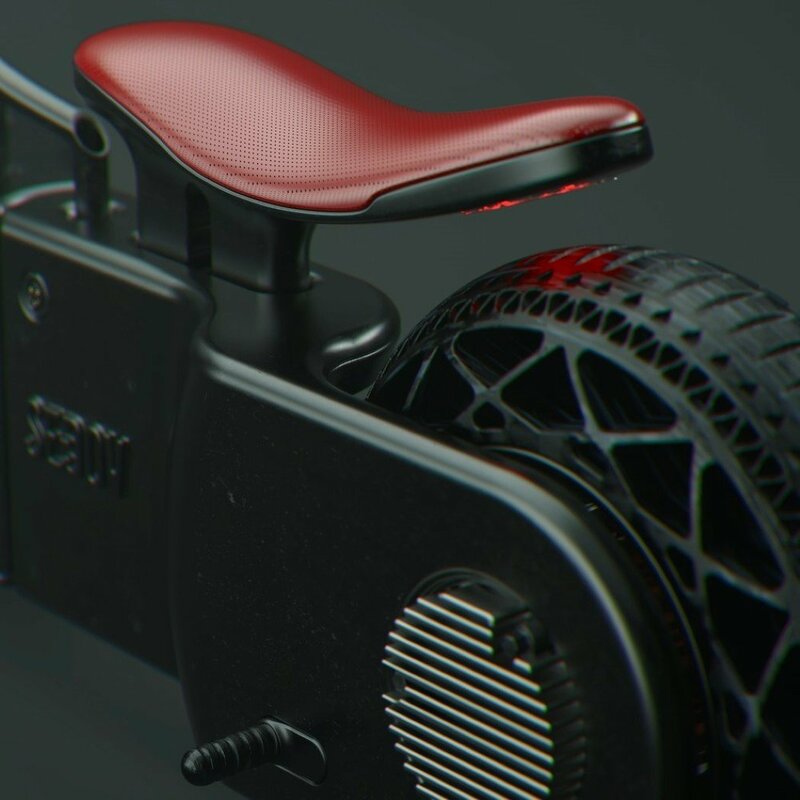 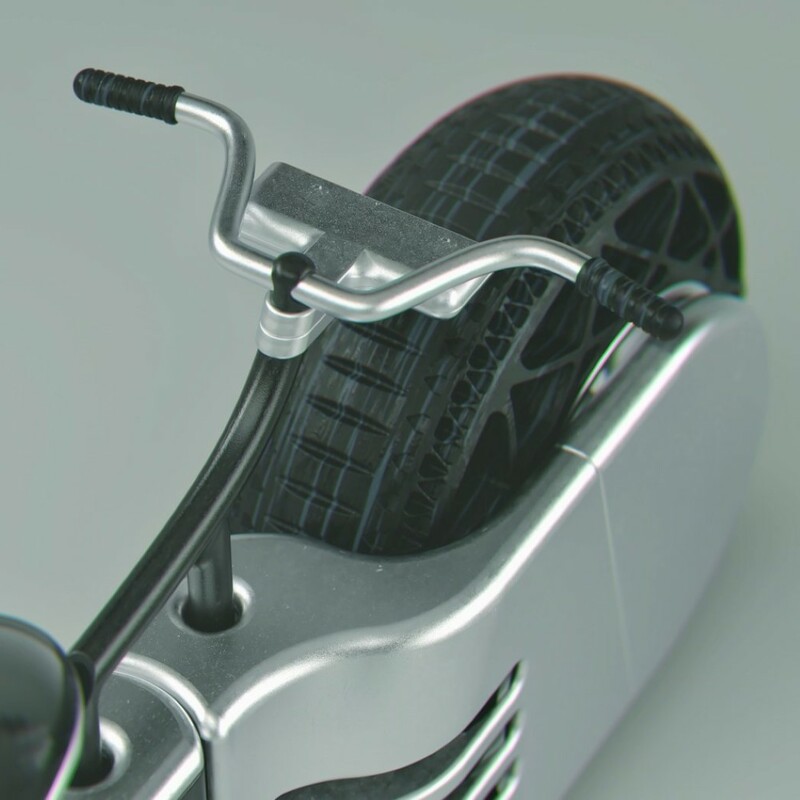 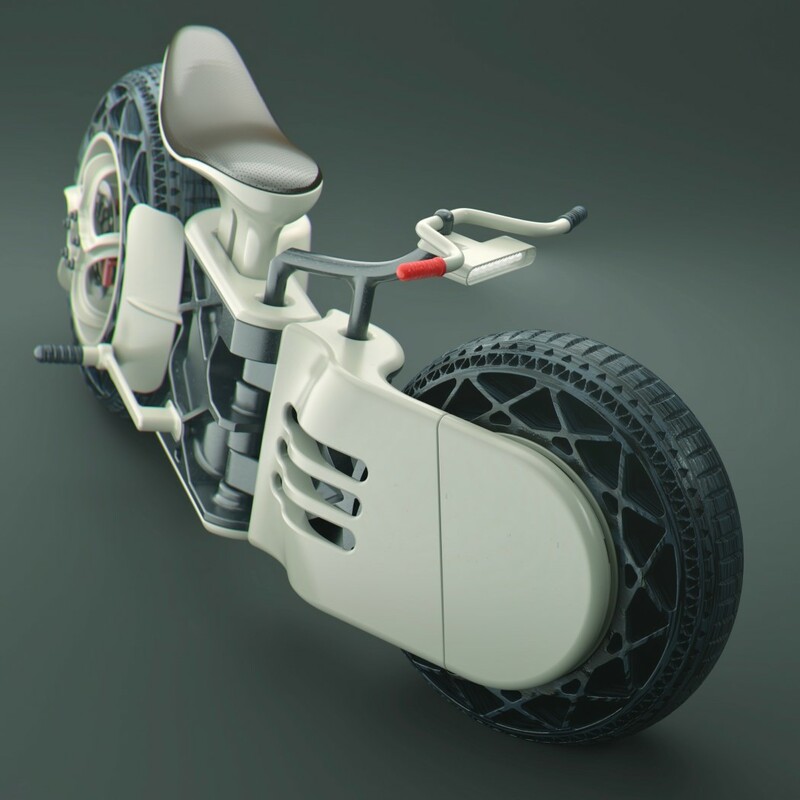 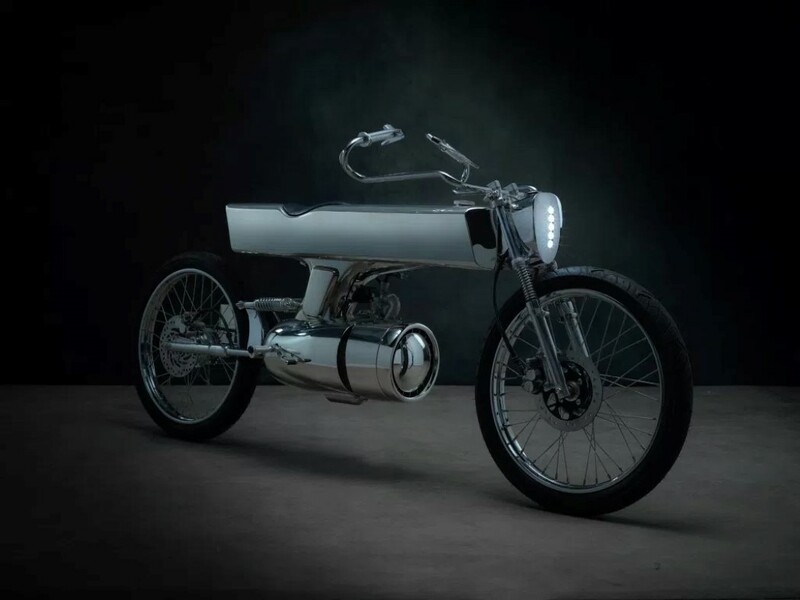 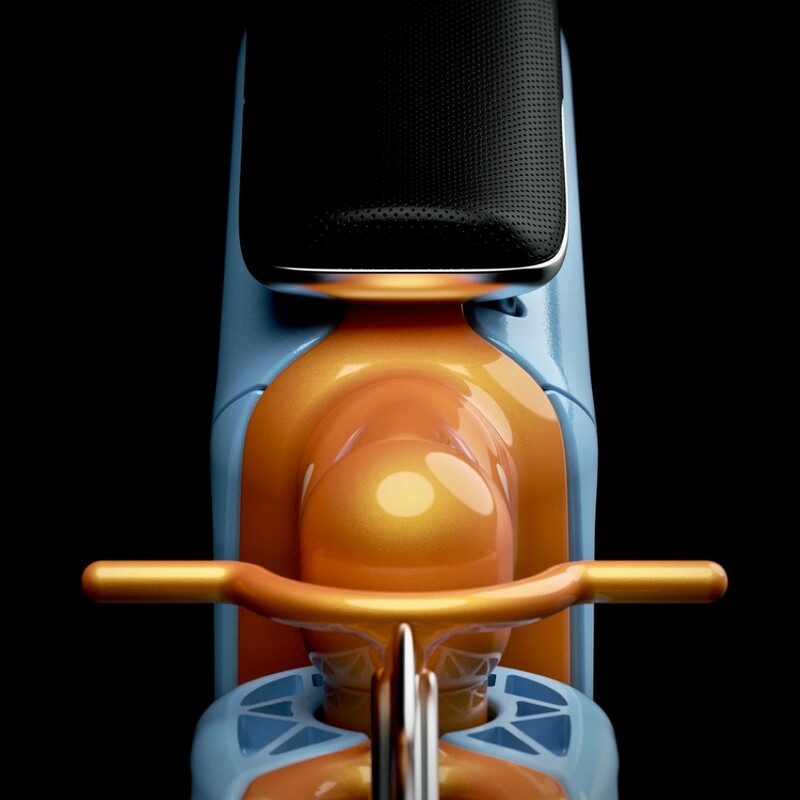 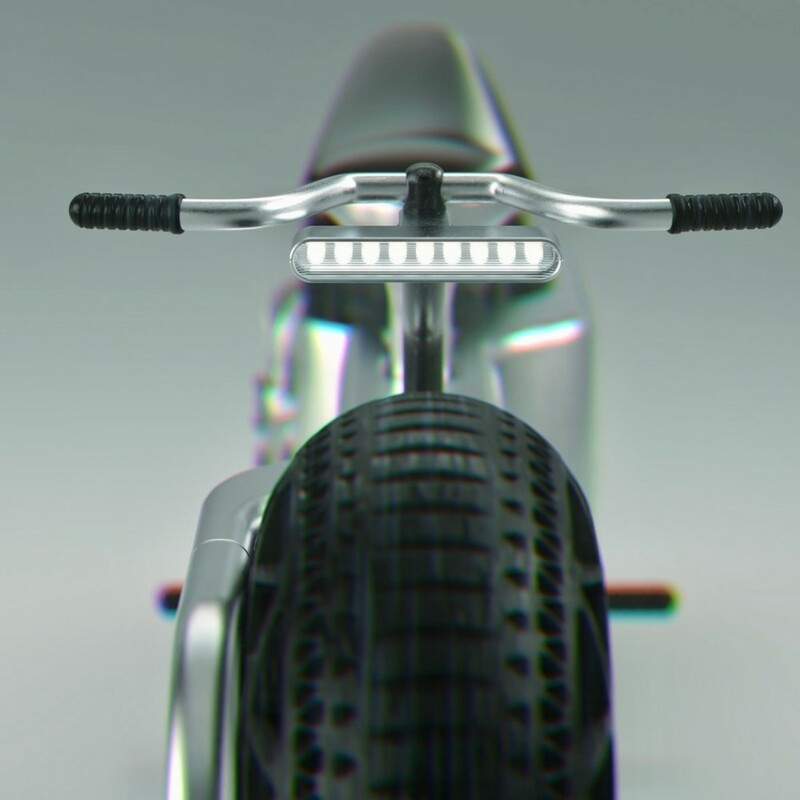 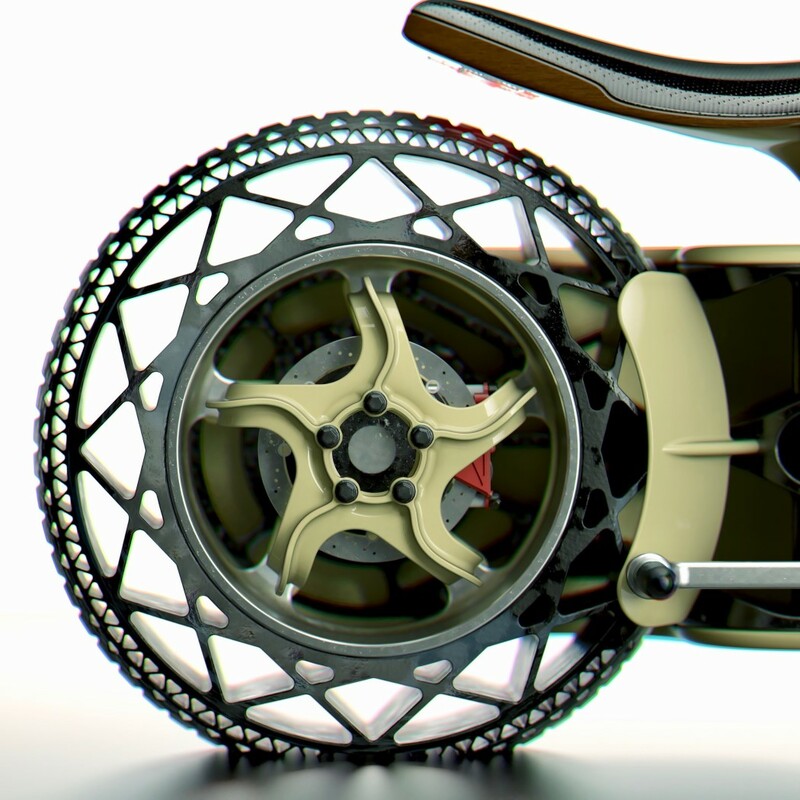 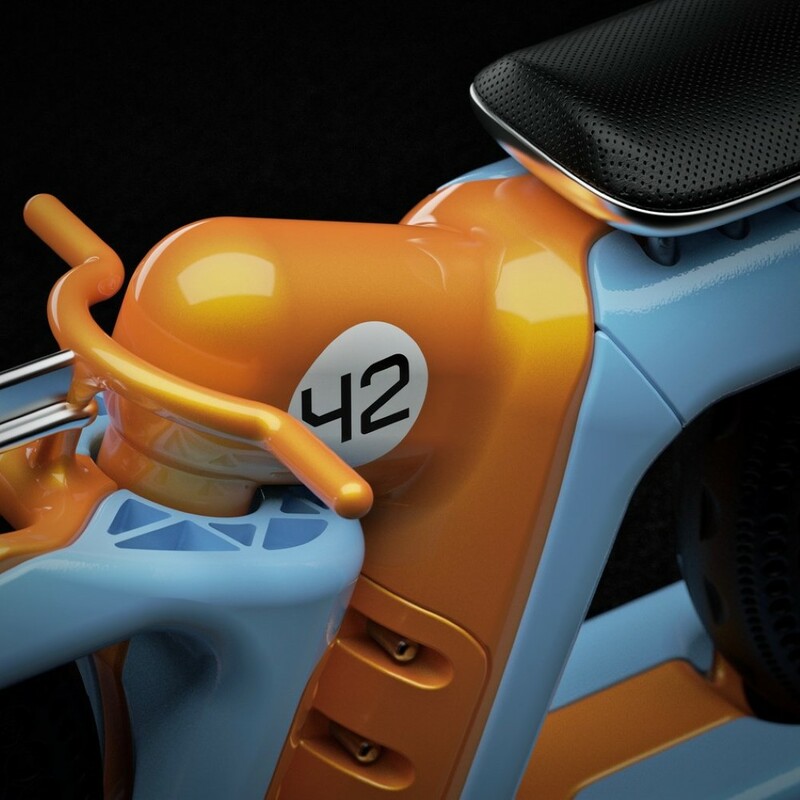 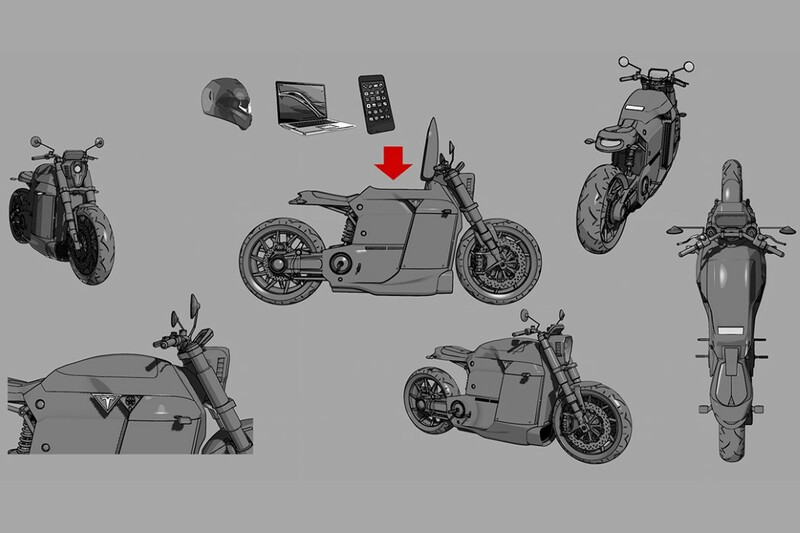 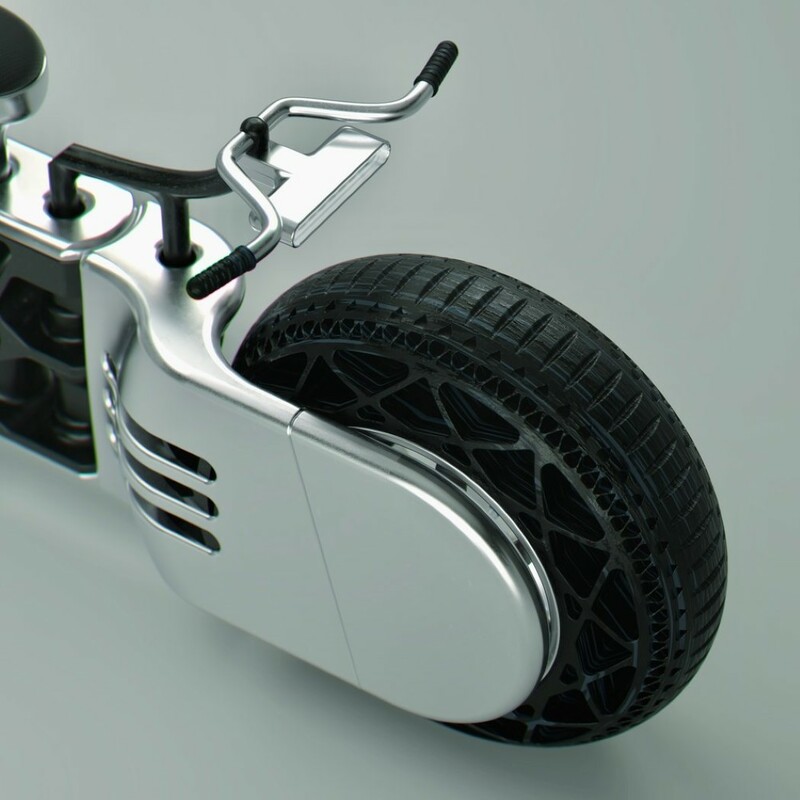 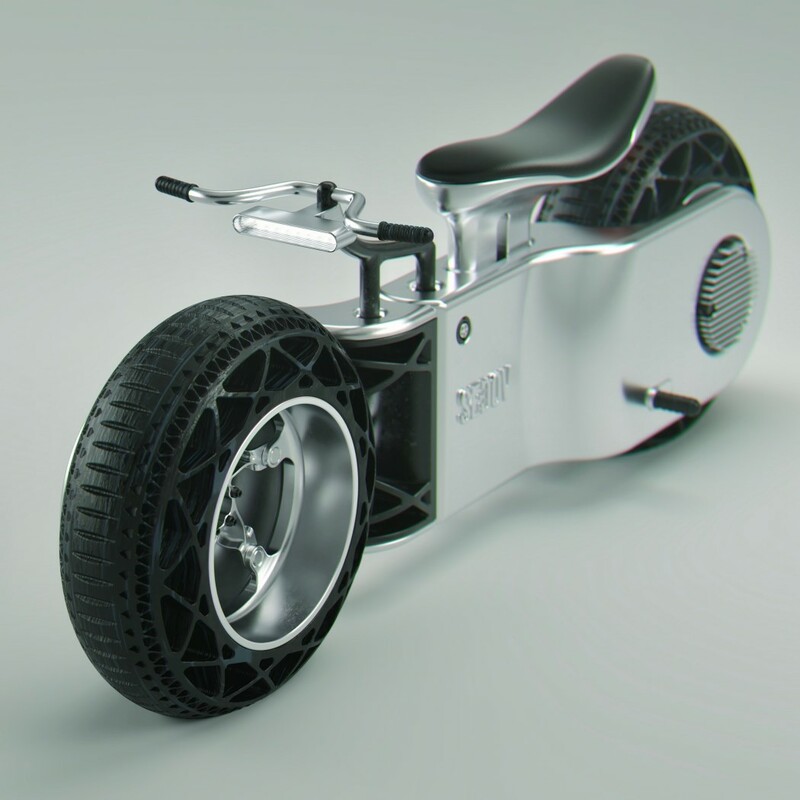 The bike, from the renders, looks to be enclosed, allowing a rider to sit inside its closed cockpit. 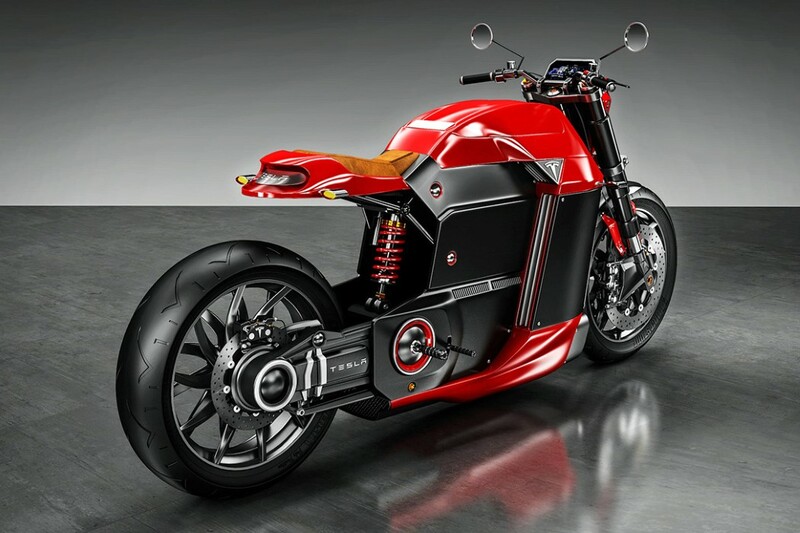 On the front sits a dashboard that allows you to look behind you, replacing the need for rear-view mirrors… and while none of Bugatti’s vehicles are electric, the Type 100M concept comes with an electric drive and a rather massive battery right underneath the rider, occupying what I would say is a little too much space for comfort. 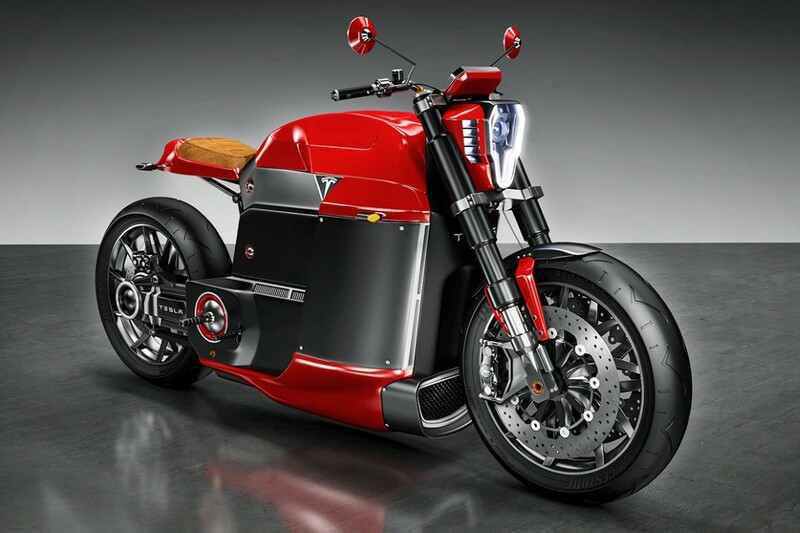 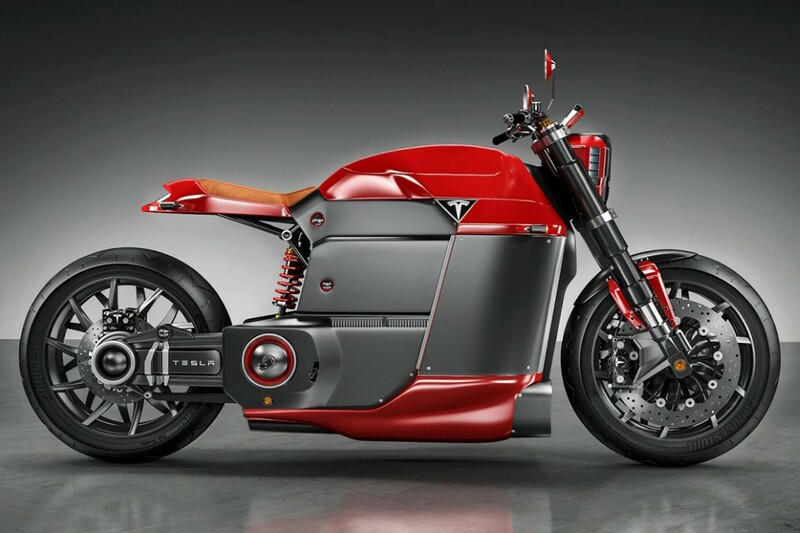 Impracticality aside, the bike does look, like all of Bugatti’s cars, worth a million bucks! 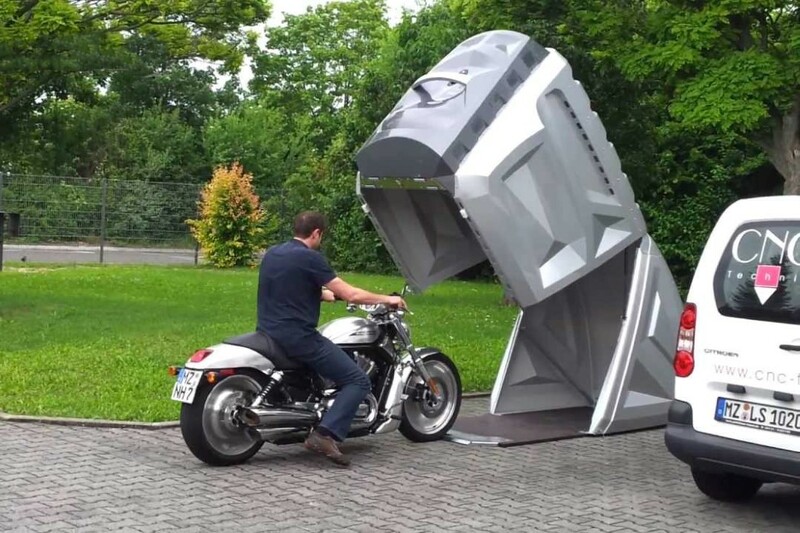 I’d probably make the cockpit a lot bigger though. 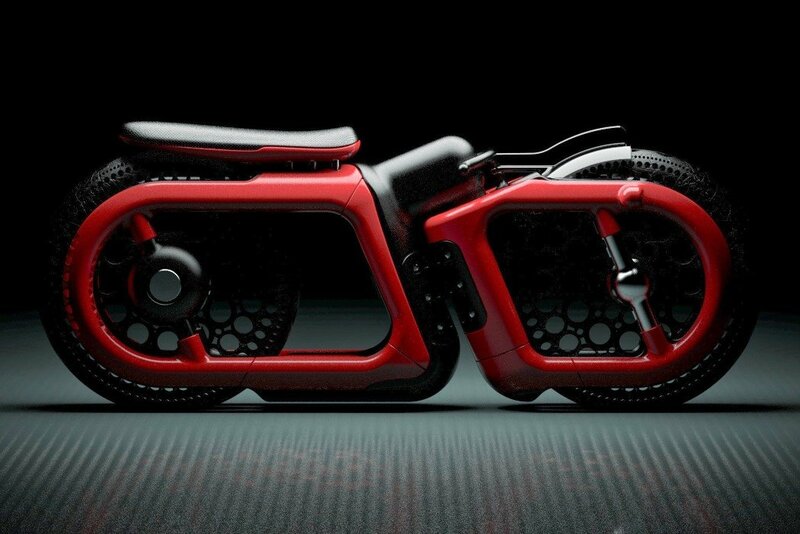 Looking at the L-Concept bike by Bandit9, I’m not sure if it downplays the styling bit, or showcases just the appropriate amount of it. 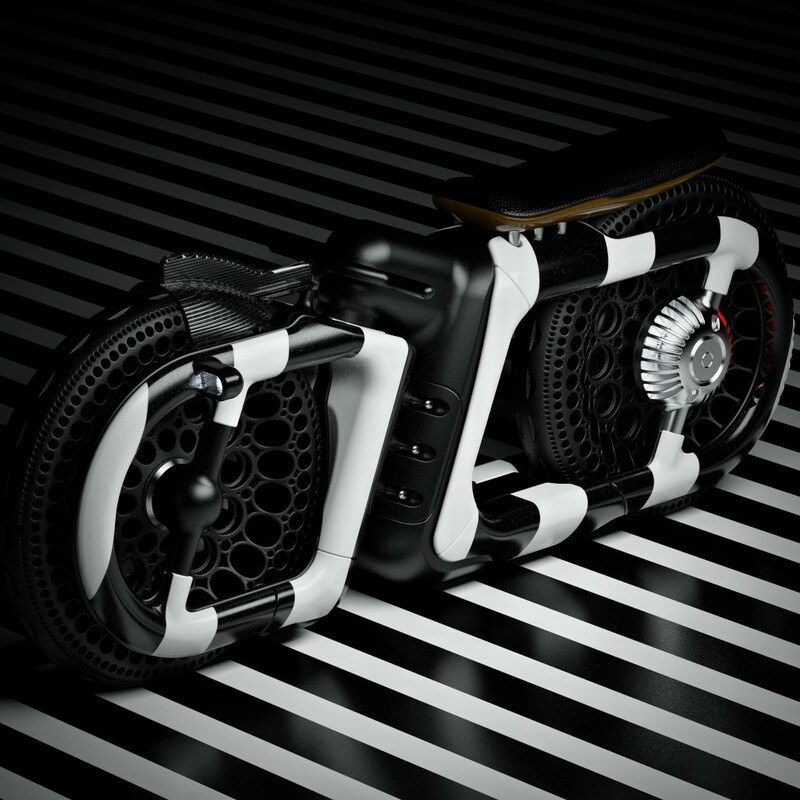 Built as a limited edition of just 9 pieces (with only 2 being available as we speak), the L-Concept tries to bridge the gap between “fact and fiction” with a design that takes inspiration wholeheartedly from the sci-fi genre. 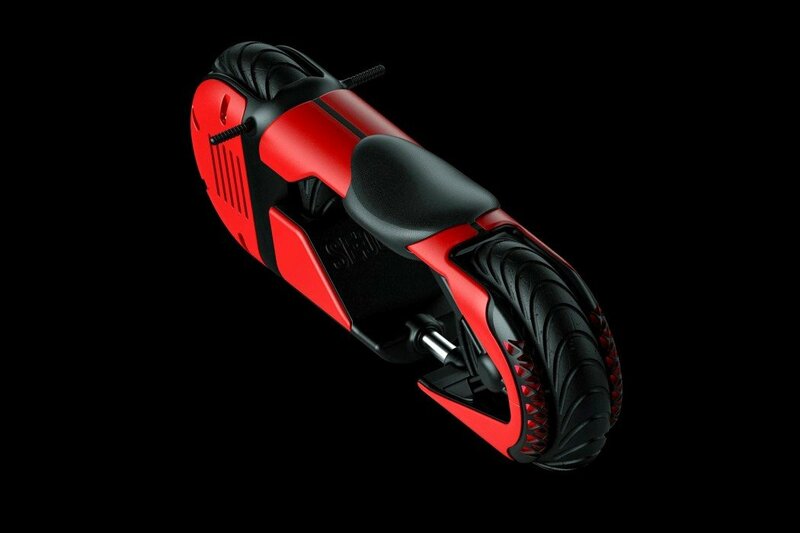 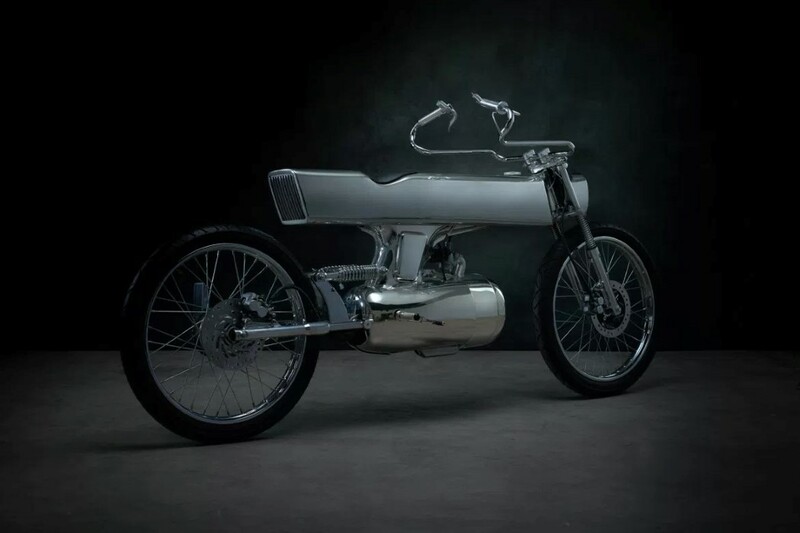 The overall silhouette from the side resembles the USS Enterprise from Star Trek, with the 125cc engine being housed in a body that looks a lot like the spaceship’s main reactor. 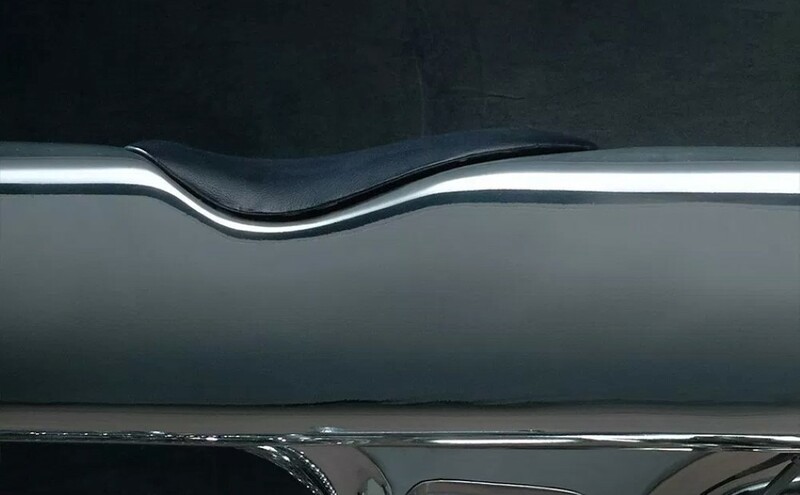 The L-Concept comes in a chrome finish, dominated by straight lines and flat surfaces that create some beautifully balanced and geometric highlights and reflections. 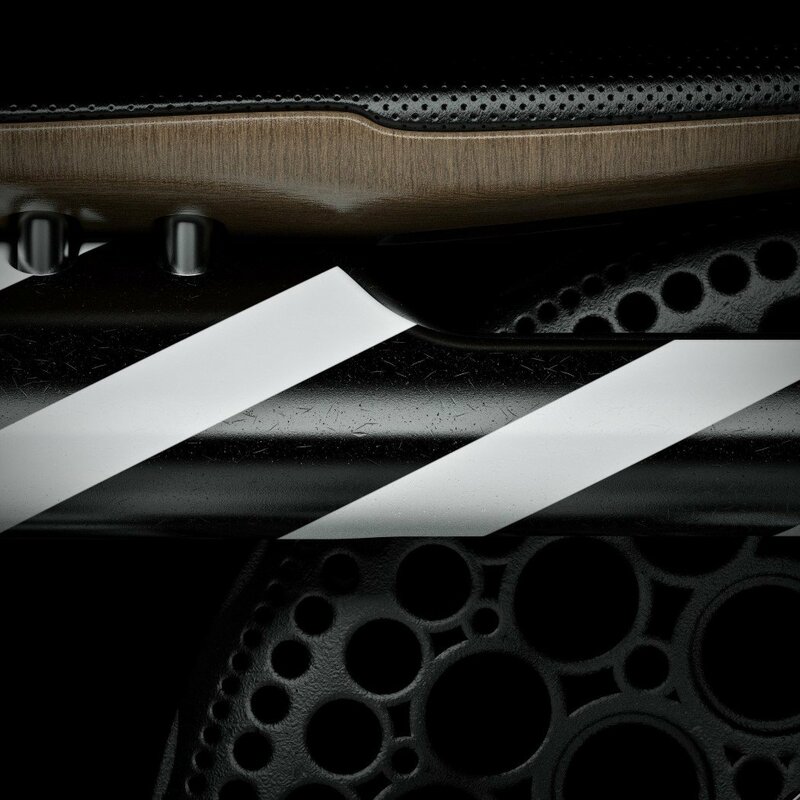 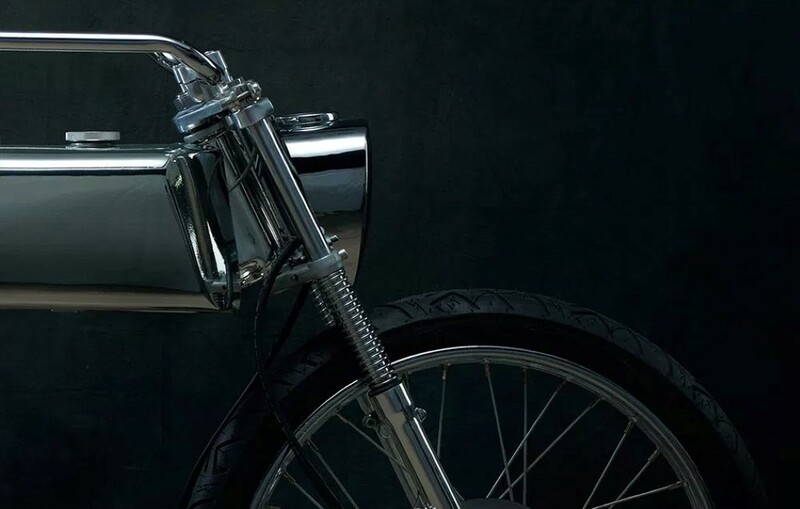 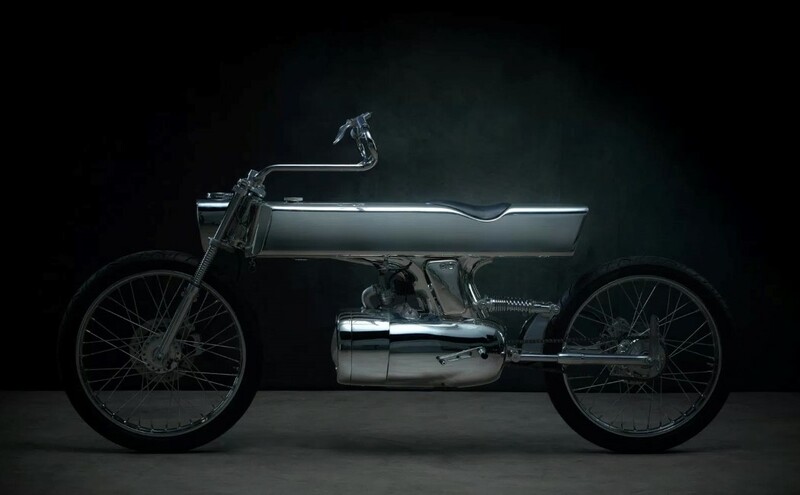 The seat, made of Italian calf leather sits within the main body of the bike in a way that retains the unibody approach, and creates a beautiful bend or punctuation in the reflections that run across the body. 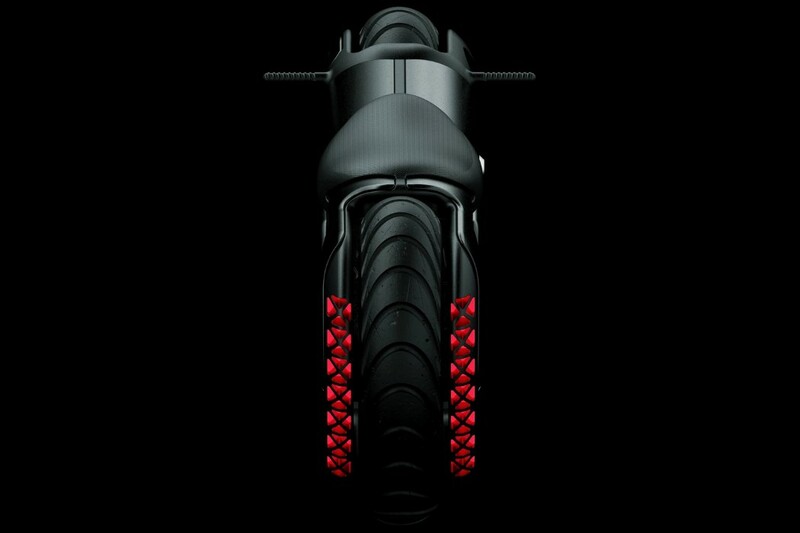 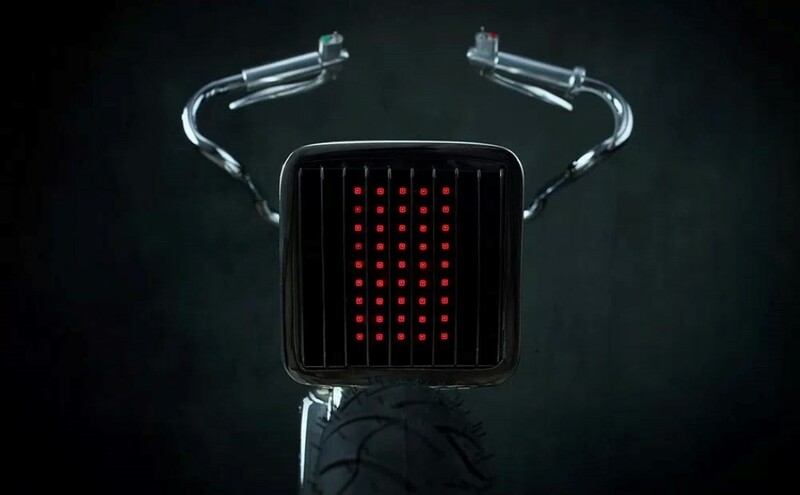 The L-Concept comes with innovatively design head and taillamps comprising an array of LEDs. 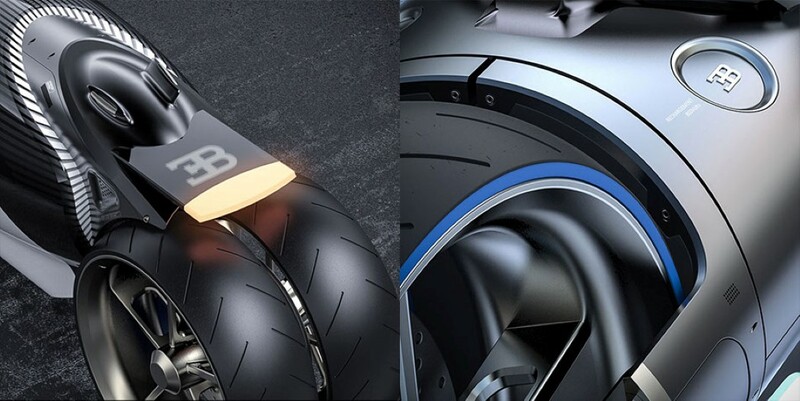 It even showcases an innovatively designed Flat Dual Shock for the rear wheel, keeping the overall design clean and ‘horizontal’. 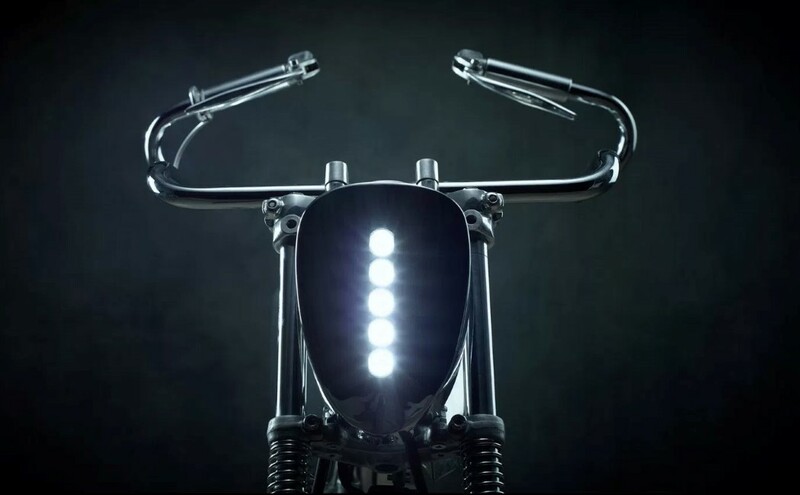 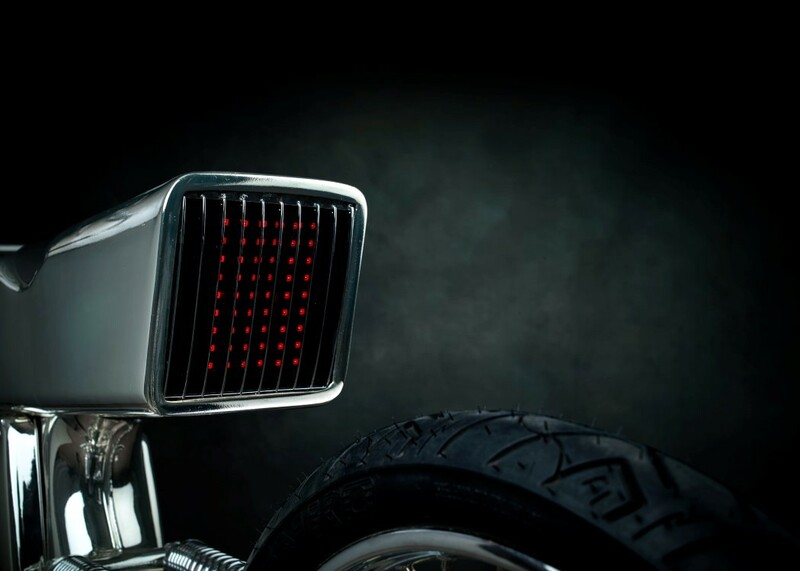 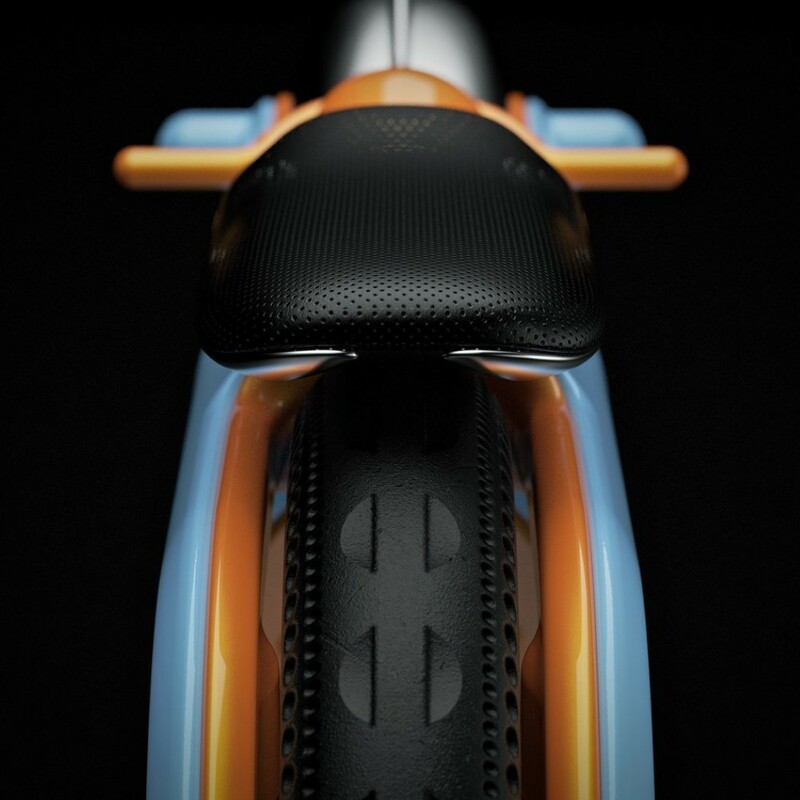 Designed to challenge how we perceive motorbike aesthetics, the L-Concept may be ahead of its time, but founder and chief designer Daryl Villanueva thinks we’re getting there.